If you travel to Japan in the spring, you might be able to observe some of the country's Golden Week celebrations, which commemorate four national holidays that fall between late April and early May each year. Known as Ōgon Shūkan in Japan, Golden Week gets its name from the fact that several national holidays take place during this period. This holiday week is a major event in the country, and many Japanese offices close for about a week to 10 days during Golden Week, which may come as a shock to American tourists since offices typically don't close for this long in the United States. The first national holiday during Golden Week is April 29, which was the birthday of the Showa emperor. In modern Japanese culture, this day is called showa-no-hi, or Showa Day. The second holiday is kenpou-kinen-bi, or Constitution Memorial Day, which falls on May 3, and on the day after that, midori-no-hi, which is known as Greenery Day, takes place. The last holiday of Golden Week is kodomono-hi, or Children's Day, which falls on May 5. Although there are many ways that the Japanese celebrate Golden Week, there are some unique traditions to go along with each national holiday throughout the break. From reflecting on the life of Hirohito, the Showa emperor, on April 29 to hanging carp streamers outside of homes for Children's Day on May 5, Japan's culture is on full display all week long. Showa Day, April 29: In 2007, the Democratic Party of Japan voted to change this holiday to a day of observance of the turbulent years of Hirohito's reign (from 1926 to 1989) rather than glorifying the late emperor's life. Most Japanese consider this a day of rest and many businesspeople get an extra long weekend break when the holiday falls on Friday or Monday. Constitution Memorial Day, May 3: This holiday celebrates the declaration of the 1947 Constitution of Japan, which served as the new constitution for post-war Japan. Many locals reflect on the value of democracy in the Japanese government on this day, and many national newspapers publish features about the current state of affairs regarding the constitution. Greenery Day, May 4: Although this holiday used to take place on Showa Day (April 29) and be known as "The Emporer's Birthday," the current Emperor Akihito changed the date and meaning of this holiday in 1989. Meant to be a celebration of nature, many Japanese citizens use this holiday for trips to the countryside. Children's Day, May 5: A celebration and day of prayer for children, this holiday also marks the Japanese Boy's Festival called tango-no-sekku, a day to pray for the healthy growth of boys. Given this, it's a Japanese tradition for families of boys to hang up carp streamers (koinobori) outside of their houses around this holiday. Carps are believed to symbolize successes in children's lives. Also, samurai dolls called gogatsu ningyo, or May dolls, are displayed in their homes. While May is usually a pleasant season to travel in Japan, you may want to avoid coming during the first week of the month as you'll have a much better experience if you plan a trip to Japan after Golden Week. On the other hand, if you want to immerse yourself in the culture of Japan, there are also many local celebrations and events planned to commemorate Golden Week each year. 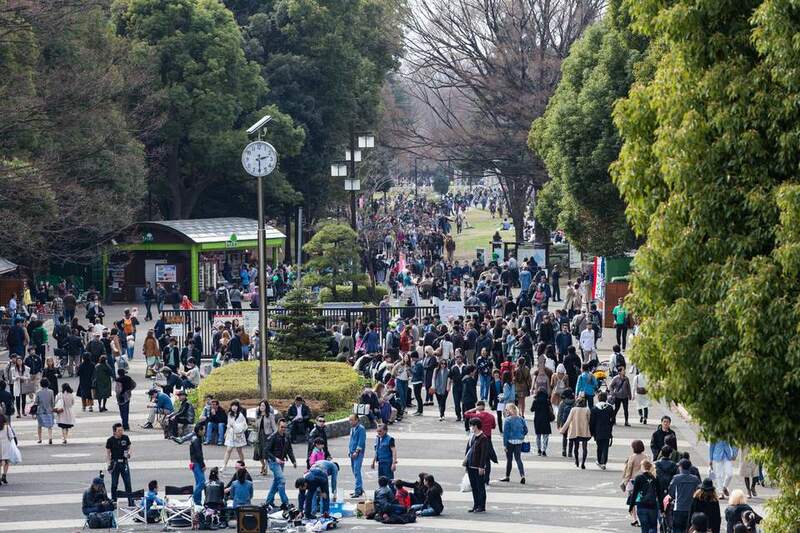 However, during Golden Week, Japanese locals often take vacations and travel around the country or abroad, which means that tourist attractions, train stations, airports, and restaurants in Japan are crowded during this time. It is also widely known that it's difficult to get reservations for accommodations and transportation during Golden Week. If you do plan to vacation in Japan during this hectic time, you'll need to book your airfare and accommodations well in advance, and it may be a good idea to try to purchase train tickets before you land if you want to visit more than one popular city on your trip. You can also book reservations at some restaurants and even buy tickets for some popular attractions before you arrive to ensure you get to see everything on your itinerary. Keep in mind, though, that because this is one of the busiest times of year for Japan—especially since practically everyone is off work and out of school—you'll need to also plan ahead for additional travel and wait times once you arrive. For instance, you may find that the bullet train (the shinkansen) is overbooked to popular destinations like Tokyo, Kyoto, and Osaka; in order to avoid the crowds, you may want to consider heading the opposite direction from where the locals are headed for vacation.